Please visit Patter's blog HERE so can read her teaching and also find the link to the song. I had never heard of this song or the singer and I have now added a new CD to my wish list. 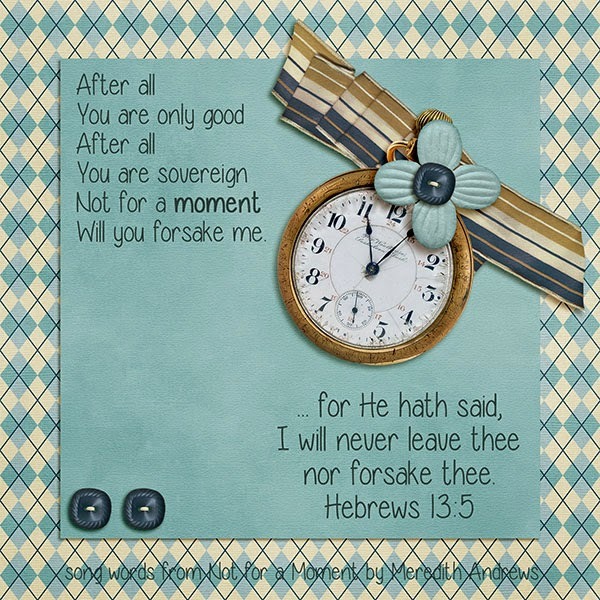 It is always so comforting to claim the promise in Hebrews 13:5 that our Sovereign God will never leave me ( you ).